DEEP END MINISTRIES: Welcome to The Deep End! Here you will be challenged to dive below the surface of God’s Word and explore Scripture within the context of ancient history, culture, language and literary structure to discover the boundless and sometimes surprising truth about God’s character and the life He calls us to live in Him. Click on an item below to view the video. You can also access these videos on our video blog (vlog) hosted here on YouTube. We thank God for President George H.W. Bush's life of service to America. And we praise the Lord for His faithfulness in the life everlasting. Whether president or prodigal, we all enter Heaven through the same narrow gate. This time of year, it seems the volume of life gets turned up to deafening levels. Take just a few minutes to press pause in the day and ask yourself, who do I really want to listen to? Wishing you a HAPPY THANKSGIVING and encouraging you to be the blessing to those who have lost count. Have you ever pursued a dream or goal only to hit a dead end, again and again? Could it be that your struggle isn't with the goal, but with the glory of the goal. DEEP DIVE: A POST-ELECTION "DUST-UP"
Where will His dust settle? After months of enduring the mud-slinging, I thought you might enjoy getting a little "dusty." This is one of my favorite messages about following Jesus closely, no matter how far the world gets away from Him. DEEP DIVE: TRICK OR TREAT FAITH? Who Do THEY Say I Am? There is a BIG difference between rocking the Christian costume and reflecting the Christian character. In this Halloween DEEP DIVE, we consider the life of the Christ-follower and Jesus' profound question: "Who do they say that I am?". Most of us will never experience the kind of horrible persecution that Pastor Andrew Brunson endured in Turkey. But almost all of us are held captive by something in our lives. Pastor Brunson shows us how to come out on the other side of it BOLD for the Lord...not broken. This week's DEEP DIVE features a message that K.D. Stewart delivered at the Wonderfully Made Wonderfully Changed event in Casper, WY, Saturday, Oct. 5. Take a few moments with K.D. to dive deep into Psalm 13 and God's purpose in the struggles of life. DEEP DIVE: SNOOPY THE THEOLOGIAN - WHO KNEW?! Believe it or not, there is much to be learned about a life of faith from Snoopy. In this week's Deep Dive, travel with K.D. Stewart into the funny pages for new perspective on faith in the midst of chaos. DEEP DIVE: JESUS IS OUR LIVING WATER! This week's DEEP DIVE is an AUTUMN EXPLOSION of color and truth from beautiful Steamboat Springs, CO. DEEP DIVE: WHO IS YOUR SCAPEGOAT? You say you have trusted Jesus as your Savior. But do you see Him as your Scapegoat? One man's Ground Zero is another man's House of God. DEEP DIVE: WHAT DOES HE SEE? When Nathanael was under the fig tree, what did Jesus see? Does He see the same in you? Can you believe it's almost Labor Day?! I pray this new perspective makes for sweeter days of labor ahead. If you tell a mountain to move and it doesn't budge, are you guilty of failing faith? K.D. Stewart takes us to Jerusalem to better understand Jesus' perspective on faith the size of a mustard seed. As Christ-followers, God calls us to be His "living stones." What does He mean by that? K.D. Stewart travels back to the Lands of the Bible to find out. Did you know we are all wired for worship? God created us that way :). But what you worship is what sets the course for your life. K.D. Stewart takes us back to ancient Egypt to explain God's Truth. Have you ever considered the MAGNITUDE of Jesus' arrival in a world that valued BIG entrances? Enjoy another BIG lesson from the Lands of the Bible. DEEP DIVE in the Lands of the Bible: Travel with KD to Giza, Egypt where we find a mind-boggling demonstration of man's ingenuity and ability to glorify and deceive himself. I have SO MUCH to share with you from my adventure in the Lands of the Bible. Today, we're at the Red Sea in Egypt. While there, it occurred to me that as Christ-followers we all come to a spiritual "Red Sea" moment at some point (maybe many times) during our journey with the Lord. When you are standing at that Red Sea moment and you have done and said all that you can, what does God want you to do next? 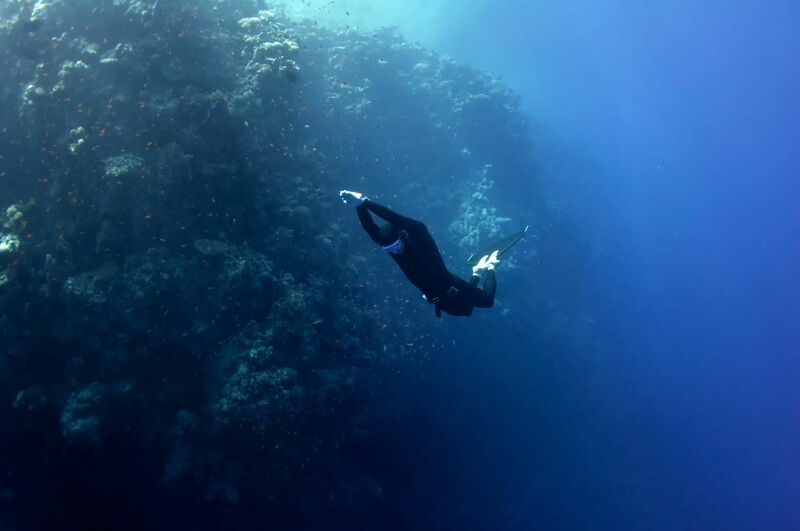 DEEP DIVE: DEEP DIVE IN EGYPT! Life is filled with seemingly impossible mountains. But Christ calls us to be confident climbers. When we take our eyes off of the mountain and place them squarely on the mountain guide, He will lead us to the top. DEEP DIVE: LIFE'S A H.I.K.E! The life of a Christ-follower is a life focused less on how we start and more on HOW we finish; being INTENTIONALLY centered in Christ; KEEPin' on keepin on through the challenges; and ENJOYing the hike. DEEP DIVE: WILL GOD GIVE YOU MORE THAN YOU CAN HANDLE? We hear people in the Church say it all the time: "God never gives us more than we can handle." But is it true? You may be surprised at God's answer. DEEP DIVE: THE JOKE'S ON YOU GQ! Editors of GQ magazine thought they would get good mileage out of an anti-Bible publicity stunt. But the joke's on them. What man means for evil, God means for good. First Lady Barbara Bush will long be remembered for her strength, grace, candor, and pearls...pearls of wisdom that are rooted in God's Truth. Have you been called to share the Good News with someone who needs to know Jesus? You can bet that God has already gone ahead of you and made a way. Where there's a will...there's a way with the Lord. Flawed spiritual vision nailed Jesus to the Cross. As we approach Holy Week, do we need to correct our own spiritual nearsightedness? When life takes an unexpected (and maybe unwelcome) detour, does it mean that we have taken a wrong turn? Or, could it be that God is guiding us down a divine path? When you feel trapped by life circumstances could it be that God has you exactly where He wants you? When life has us cornered, we learn to trust Him. DEEP DIVE: IMMINENT ATTACK? IMMINENT PEACE!! On Saturday, Jan. 13, 2018, residents and tourists in Hawaii received a warning of an incoming ballistic missile. In the midst of chaos and panic, God's peace was found on a beach in Maui. Hear the story and learn how Christ-followers can find peace beyond understanding in the midst of terror. If you knew that this was your last day on the planet, how would you live your life? As we set out to accomplish new resolutions and goals in 2018, we should be asking ourselves one key question: What (or Who) is motivating us to succeed? How will you resolve to honor the Lord in the New Year? Reflecting on 2017 - the good, the bad and the ugly. When the Lord gives us His perfect perspective on the year gone by, we can enter the New Year with new hope and joy. Pleasant words are a honeycomb, Sweet to the soul and healing to the bones. (Proverbs 16:24) Discover the power of a kind word this holiday season. During a season when our joys as well as our sorrows are magnified, this week's Deep Dive is a wonderful reminder of how our God brings beauty from ashes. DEEP DIVE: WHO'S YOUR DADDY? This week's Deep Dive is here! A little "Fatherly" insight into Christmas. Welcome to our first video blog (VLOG) post! DEEP DIVE: "WELL DONE GOOD AND FAITHFUL SERVANT." What will you hear when you meet your Savior? When we give God the final word in our tragedy, He will turn it to His glory. As political rhetoric flares and the most powerful office in the world is under fire, what does God expect of His people? Finding the blessing when God closes doors in our lives. DEEP DIVE: "GIVE 'EM JESUS"
When we are left speechless by yet another tragedy, what does God say? "Give 'em Jesus"
In a world that seems to be coming apart at the seams, God doesn't take a knee. He weeps with us. In this episode of DEEP DIVE WEDNESDAY, K.D. Stewart brings "pigskin" perspective to the often misused and even abused words of Jesus in Matthew 7:1. What does it look like to truly "prosper" when life has turned disastrous? As Hurricane Harvey passes and the flooding recedes in Texas, the world will focus on the losses - real losses of life and property. But, as Christ-followers, we must see the gains. The faith that rises above the flood waters... the compassion that is poured out on hurting people... the miraculous stores of rescue that are sending waves of hope into the world. Have no doubt, God is in the storm. Getting to the root of sin in our hearts. K.D. Stewart, president of Deep End Ministries, introduces her new book, "Would I Really Marry My Cat?!" - a real, raw and sometimes ridiculous journey of faith that will inspire you to find confidence in the Lord, no matter your circumstances. DEEP DIVE: TRASH OR TREASURE? If God put a garage sale sign in your heart, what needs to be purged? As we celebrate freedom in America, let's rejoice in being free to be a slave. Detours, roadside emergencies, construction zones, scenic overlooks. Where are you on your spiritual road trip with the Lord? Are you covered in the dust of Rabbi Jesus? Where was God when a gunman opened fire on U.S. Congressmen? God isn't worthy of just a "Memorial Day" but a memorable life. Take a couple of minutes out of your day to find peace in God's Word. DEEP DIVE: IN THE BEGINNING, GOD. On Deep Dive Wednesday, we pause for a couple of minutes in our busy week to dive deep into God's Word and find spiritual nourishment. This week: we need this reminder just as much as the Israelites needed it thousands of years ago. On Deep Dive Wednesday, we pause for a couple of minutes in our busy week to dive deep into God's Word and find spiritual nourishment. This week: God's hesed love will never fail you. DEEP DIVE: WHAT'S THAT HE SAID? As He was dying on the Cross, did Jesus question the faithfulness of the Father?